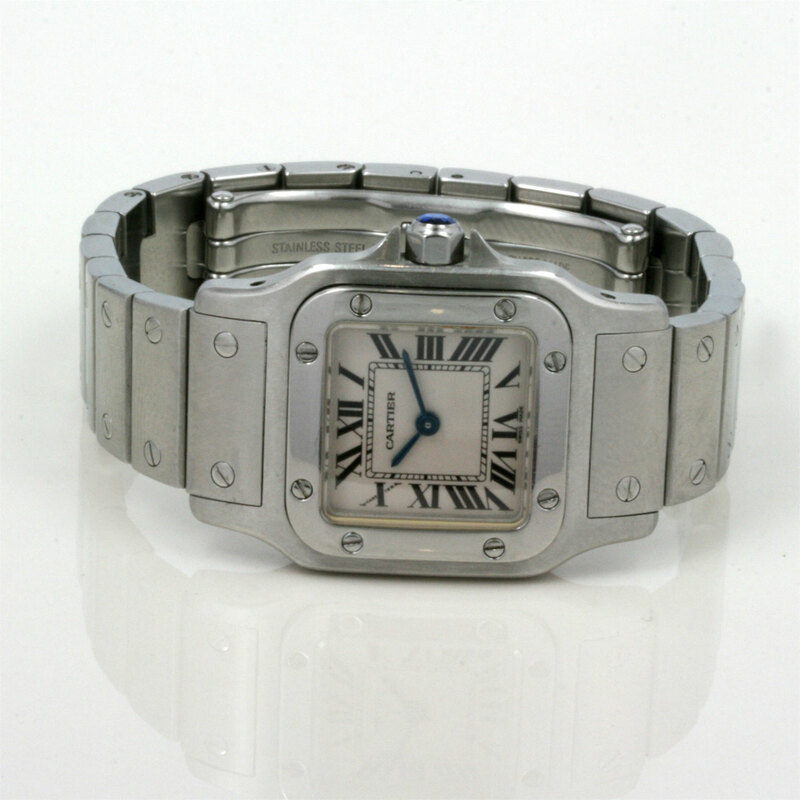 Elegant Cartier Santos watch in steel. Product code: 1457 Categories: Sold Items, Sold Watches. The Cartier Santos is such a versatile model of watch – so easily it can be worn day or night, and always have a style and class of its own. Made in stainless steel and with the deployment clasp, the watch measures 22mm across plus the sapphire crown, and is so easy to read with the white dial and Roman numerals. Inside is a 4 jewelled quartz Cartier calibre 157 movement that of course keeps perfect time. Great for any occasion, this Cartier Santos is just perfect.